polio. 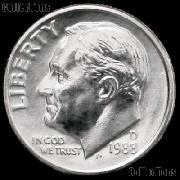 The image of Roosevelt was created by John Ray Sinnock and accepted after many revisions to lend more dignity to the design. Controversy immediately followed the release of the coin. Sculptor Selma Burke, who had submitted a portrait of Roosevelt five years earlier, claimed Sinnock used her work as a model for his own design. The public also believed that the engraver's initials of JS stood for Joseph Stalin, furthering the paranoia and mistrust of Communism at that time. 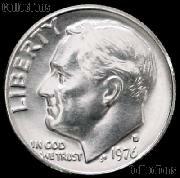 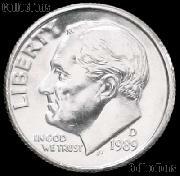 Initially, the Roosevelt Dime was composed of 90% silver and 10% copper. 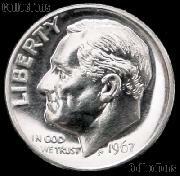 However, in 1965 the worldwide rising price of silver caused the Mint to remove silver from the composition of the Roosevelt Dime. It was changed to a Copper-Nickel clad composition, although some Proof coins were struck in silver for collectors. 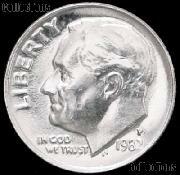 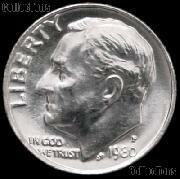 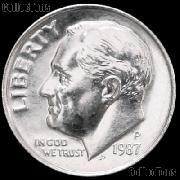 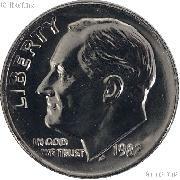 Roosevelt Dimes were minted at the Philadelphia, Denver, San Francisco, and West Point.